To me, unplugged reminds me of the MTV acoustic sessions of the 1990s. In my opinion Nirvana’s MTV Unplugged in New York is one of the best albums out there. 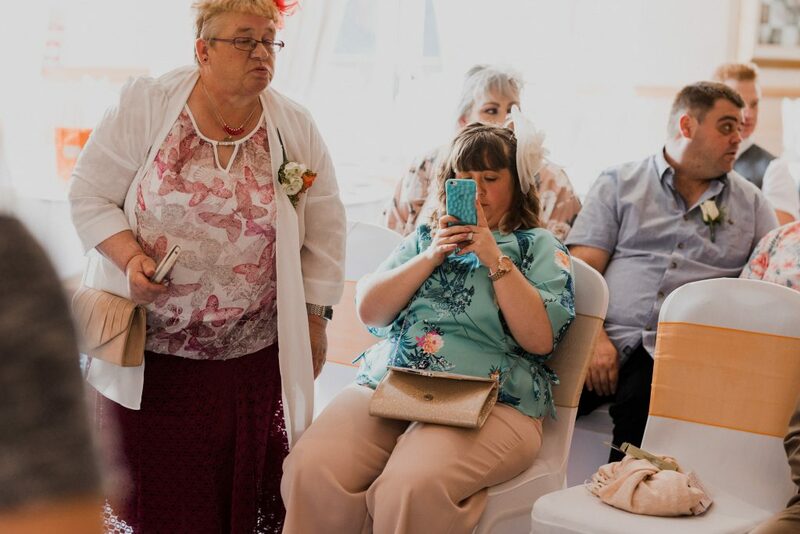 In the wedding world, ‘unplugged’ has come to mean asking guests to put down their phones and cameras during the ceremony. The idea being guests are there to enjoy the wedding and should leave taking photos to the professional. Sounds simple enough in principle. This is a wedding though, nothing is as simple as it may seem. Will you actually have a choice? 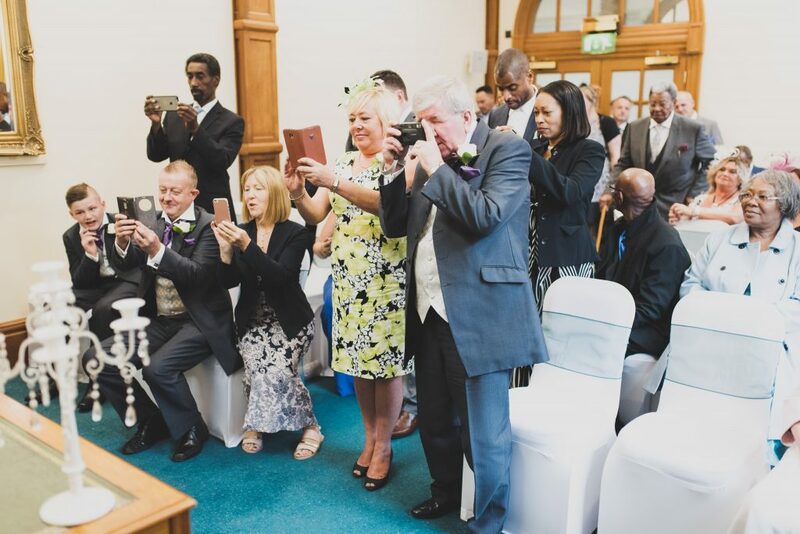 The whole unplugged or not argument may be moot if your venue does not allow photography during the service. Some officiants will announce before the service that guests should not take photos during the ceremony. A very small number of officiants, usually in a religious setting, will forbid even the professional photographer from taking photos. But that’s a grumble for another day. Let’s start by going through a few reasons why you might consider having an unplugged wedding. In the defence of the lady to the right in the photo above, it’s more likely that she was trying to take a photo than surfing the web. Apparently since the rise of smart phones people’s attention spans are shrinking to just a matter of seconds. Do people still say surfing the web, what happened to that? If they have their phone to hand they are more likely to have a peak when it vibrates. 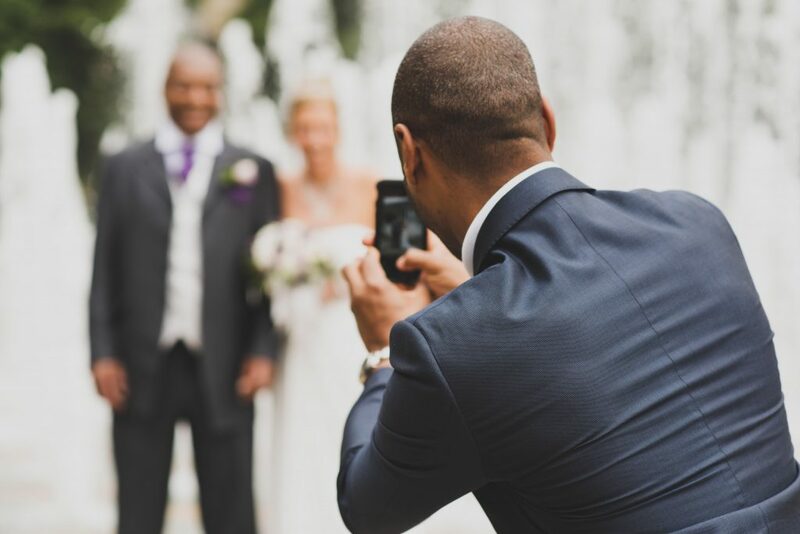 Imagine how dated your wedding photos will look if everyone is holding up old-school iPhones. It would be like everyone at a wedding in the ’80s holding up Walkmans. Actually that would be awesome. Unlikely for the most part, but definitely a possibility. Many moments that we try to capture only last a second and if at that very moment someone jumps up and blocks the photographer that moment will be lost. There isn’t really much you can do to prevent this from happening. Your photographer will hopefully have done their best to avoid such an occurrence, ultimately if it happens then it’s just bad luck really. You want your evening guests to be blown away by your glorious dress and magnificent hair and makeup when they first lay eyes on you. If they already saw it on a blurry Facebook photo then that moment will be lost. Of course, there are plenty of counter arguments as to why you shouldn’t take phones out of people’s hands if they want to use them. 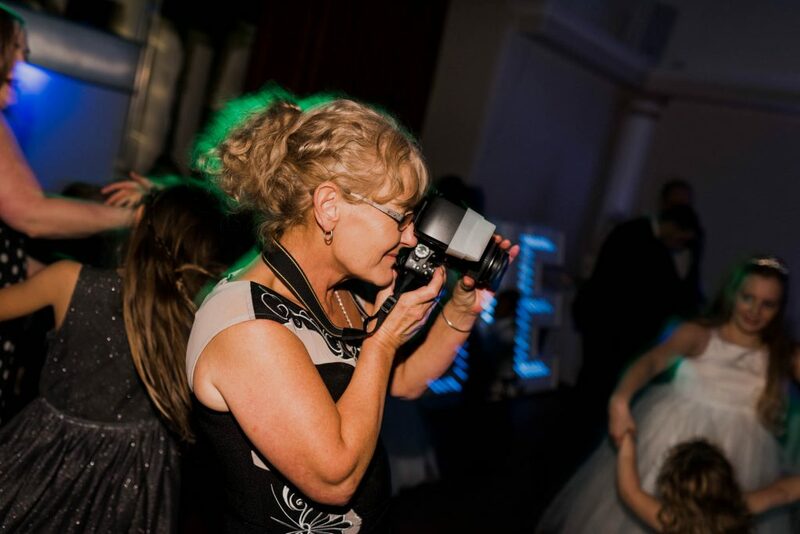 Regardless how good a job your photographer will do to capture the wedding, they cannot cover all the angles. 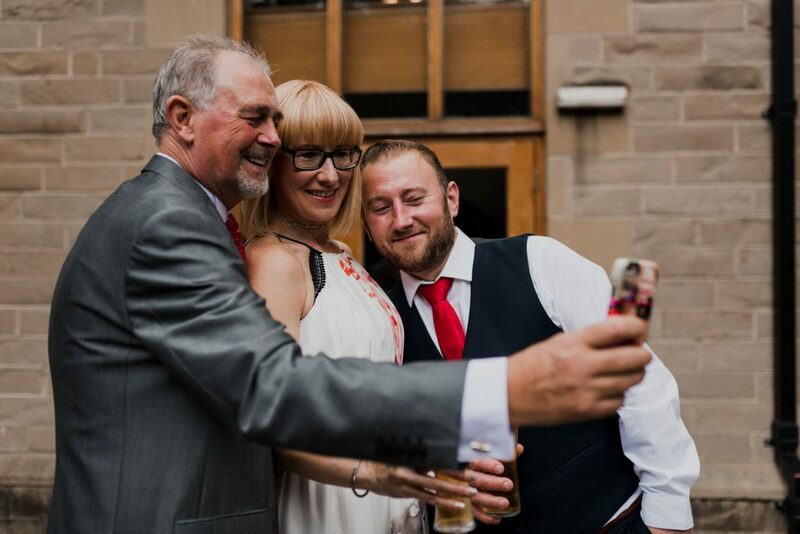 Your guests will have the opportunity to get photos the photographer cannot, which is great so long as they don’t cause any disruption getting them. As someone who lives and breaths photos, I can associate with this one. Taking photos is such a part of my life that I actually find I enjoy something more when I am photographing it than if I’m just sat watching it. This will not make sense to everyone, I know my wife probably wishes I’d put the camera down sometimes. Just keep in mind you may actually be making someone’s experience of your wedding worse by taking away their ability to take photos. If you have kids and have tried to make them sit through a church service you get what I mean. 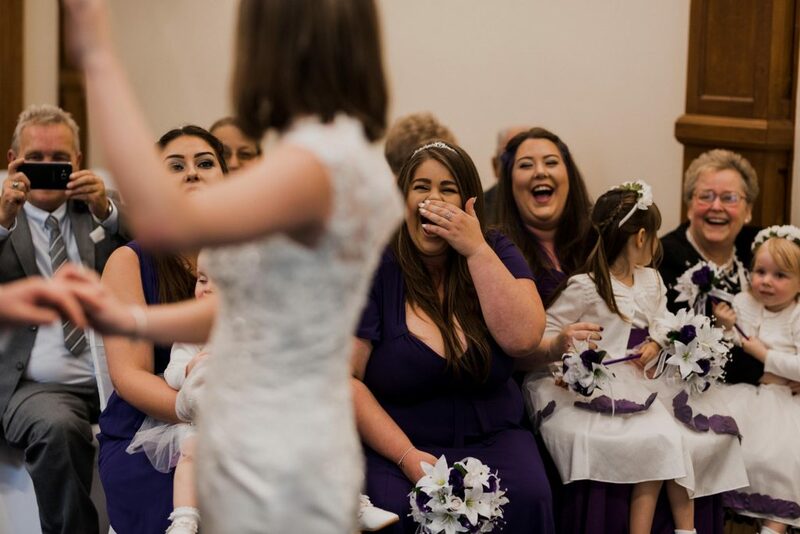 For some, weddings are a place for the whole family and there is no reason to try to shut the kids up. Still, it is nice to have the option available. For what it’s worth, here are my thoughts as a wedding photographer. I firmly believe that people who take photos with iPads look absolutely ridiculous doing so. But hey, you invited them, so that’s fine too. Those are my feelings in a nutshell. However, to understand my stance on unplugged weddings you need to also understand my approach to photographing weddings. 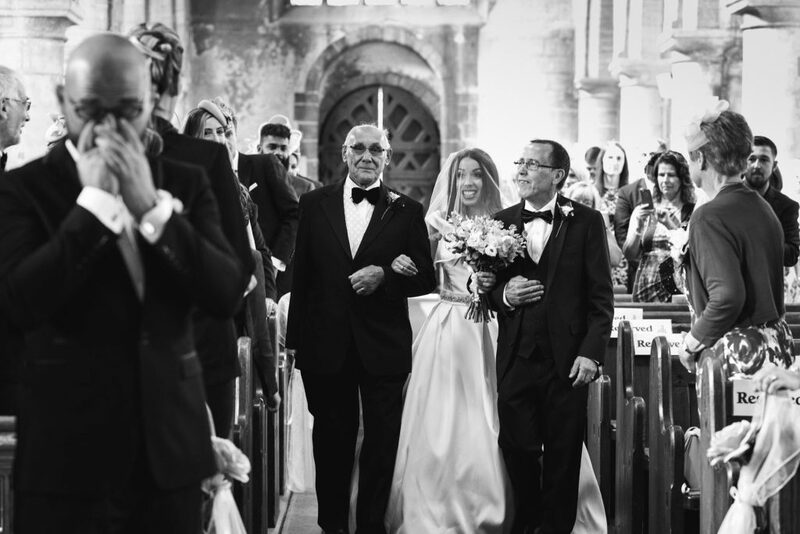 There are many great photographers out there who strive for ‘clean’ wedding photos. They take photos of what a wedding should look like. I like to take photos of what things actually did look like. This is not the forum to debate styles of wedding photography, each to their own. The point here is that since my style is to capture what really happened, warts and all, then I have no problem capturing your friends and family doing whatever it is they would usually be doing. If you are fine with your guests taking photos then I am fine with taking photos of your guests taking photos. To me if that is what your wedding was really like then that is how you should remember it, so I am not going to get upset if someone is doing something unwedding-like. All the best wedding photos are those with a story and a great memory behind it. In Conclusion…. it’s up to you. 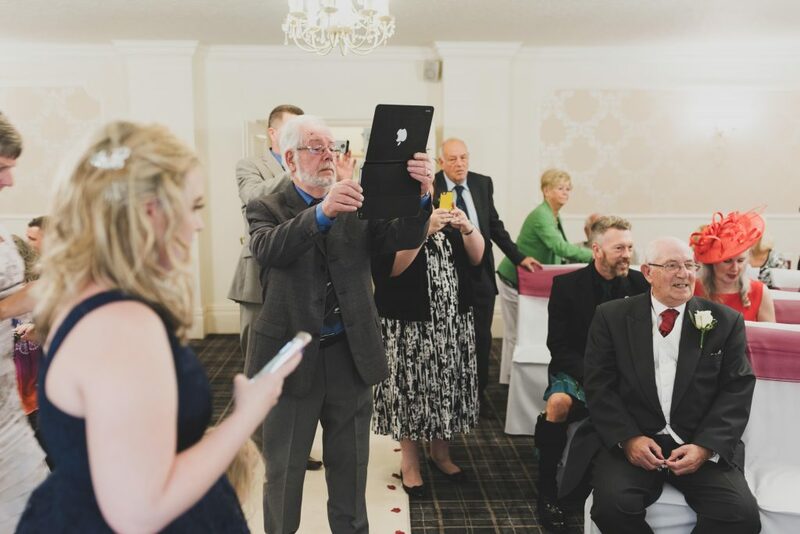 If you can imagine yourself laughing about the time Uncle Bob messed up the photo of the first kiss by commando rolling down the aisle and knocking the Vicar clean out with his speed-light then you don’t need to worry about going unplugged. 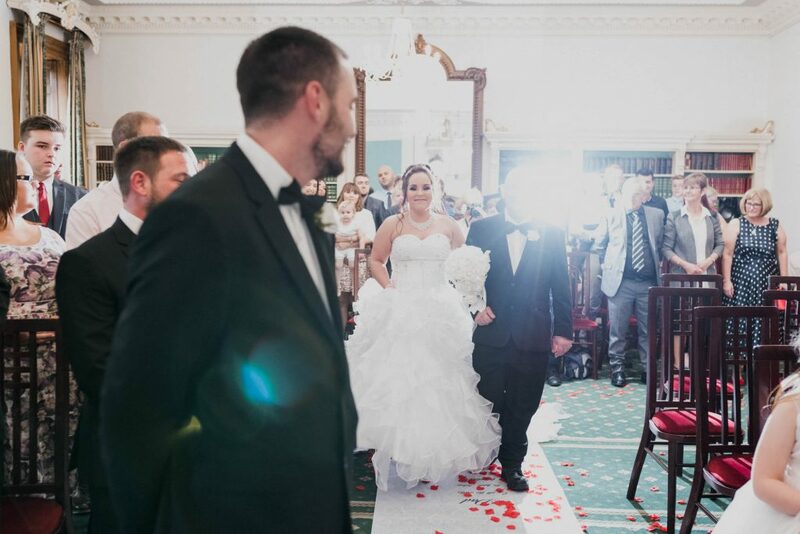 If, on the other hand, you just looked at the above photo of the Father of the Bride enveloped by a ball of light from a guest’s camera flash and shrieked at the humanity, perhaps you should consider asking your officiant to politely request guests not take their own photos. Right, now that we’ve settled that I’m off to listen to some Nirvana. 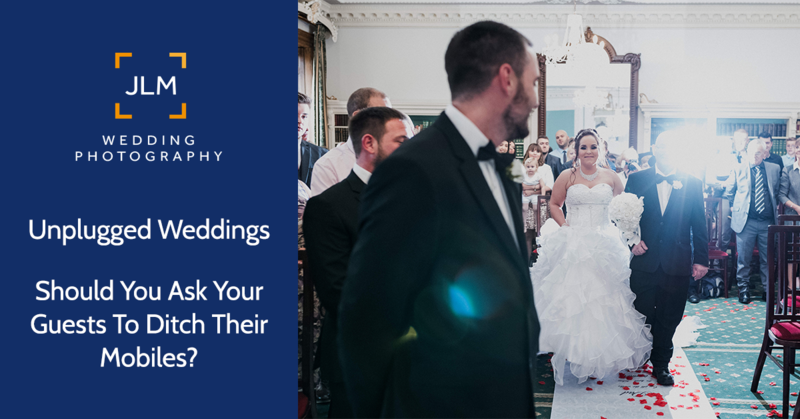 If you enjoyed this, I have written quite a few other quite popular articles such as Why do wedding photographers wear black? 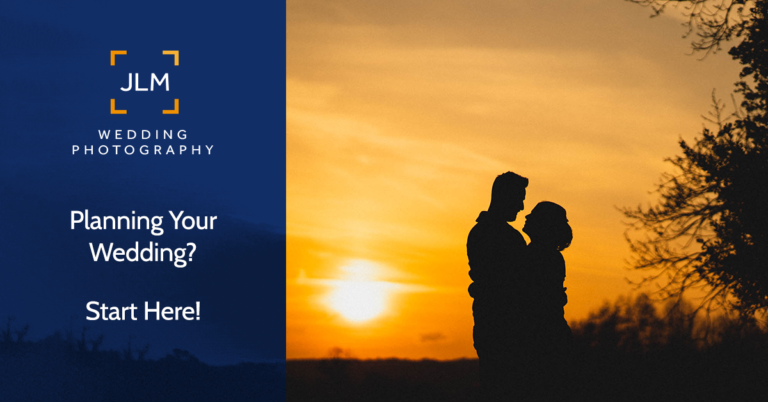 which aims to answer just about every question you could possible need to ask about wedding photographers. Feel free to get in touch to discuss ideas and/or find out if I am available for your wedding. If you would like to know more about what I offer have a look at my How Much page once you’re done reading this article.